This is it! The sounds, skills, hits & misses of the all-time arcade favorite. There are three screens, each with different playing set-ups. You´ll work your way up - if you´re a sharp enough shooter. 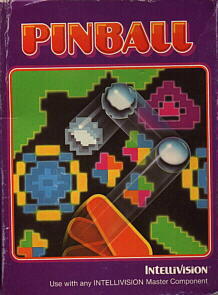 INTELLIVISION Pinball has bumpers, flippers and targets - even a "tilt" feature! Bonus points for the big winners!